High priest under Artaxerxes Ochus (359-338 B.C. ); perhaps identical with the one mentioned in Neh. xii. 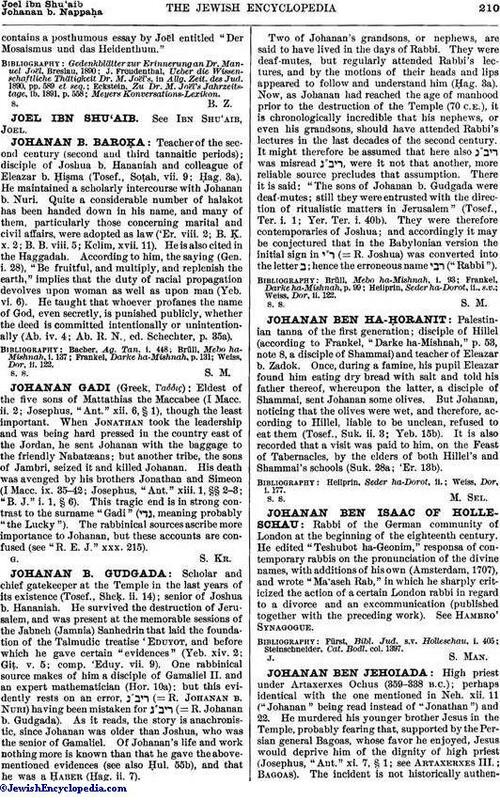 11 ("Johanan" being read instead of "Jonathan") and 22. He murdered his younger brother Jesus in the Temple, probably fearing that, supported by the Persian general Bagoas, whose favor he enjoyed, Jesus would deprive him of the dignity of high priest (Josephus, "Ant." xi. 7, § 1; see Artaxerxes III. ; Bagoas). The incident is not historically authenticated,the account being perhaps based upon events that happened in the reign of Antiochus Epiphanes. A similar story is narrated in Tosef., Yoma, i. 12: Two brothers, both priests, attempted to ascend to the altar at the same time, when one stabbed the other to the heart with a dagger. 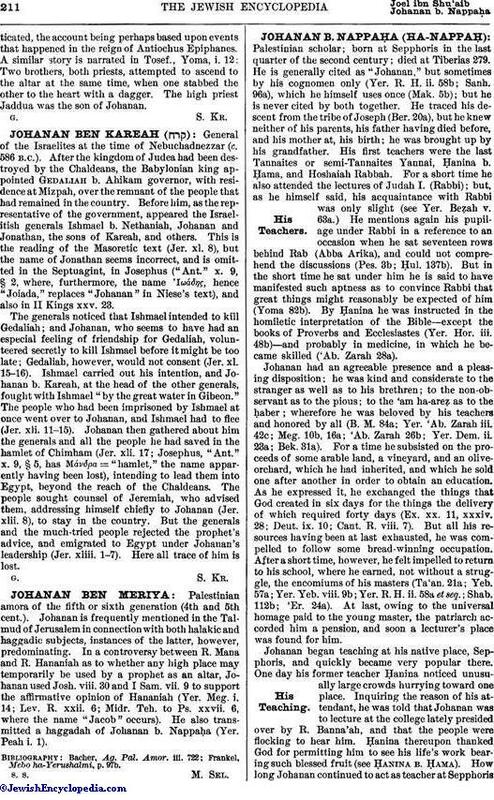 The high priest Jaddua was the son of Johanan.